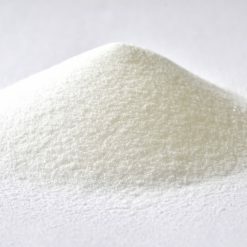 MD is a high purity maltodextrin powder, which is a popular source of carbohydrates among athletes. Easily dissolved and nearly tasteless, it can be used in conjunction with a variety of supplements. 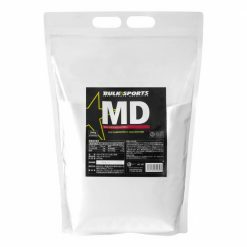 MD is a carbohydrate supplement that is valuable to the athlete because it contains special medium chain glucose polymers known as maltodextrins. Because of their unique molecular structure, medium chain glucose polymers are an excellent source of carbohydrates to fuel exercise. As the complex carbohydrates in MD are quickly digested, they are the preferred form for athletes that need quick energy boosts during and after the workout. Since the body preferentially uses glycogen as a fuel, using MD to maintain stable glycogen levels during exercise not only improves performance, but also aids in post-workout recovery. Two hours post-workout is considered the prime time to take supplements. This is because the body is actively taking up nutrients to replenish depleted stores after a regular or high intensity workout. It is recommended that you MD along with good protein containing a large amount of essential amino acids to enhance digestion. In addition, MD encourages efficient recovery and, in combination with carbohydrate, EAA, creatine, and IsoPro, is a great post- workout drink to promote bodybuilding. Take 1 scoop mixed into water or the beverage of your choice such as a protein shake. We recommend that you take during and after training as a nutritious suppliment. We recommend that you use during or after exercise as a nutritious supplement.